Twin Peaks’ lengthy production and advanced age of its stars made portions of The Return feel like a memorial, even for the ones who didn’t physically appear. That was especially true of music icon and Peaks alum David Bowie, who apparently allowed his likeness to be used for one final appearance. Try to stay with us and beware of spoilers as we dive back into Twin Peaks, but it became apparent early on that Bowie’s Fire Walk With Me character Agent Phillip Jeffries would have some role in the eighteen-part series, despite earlier confirmation that Bowie hadn’t filmed any appearance before his death in early 2016. 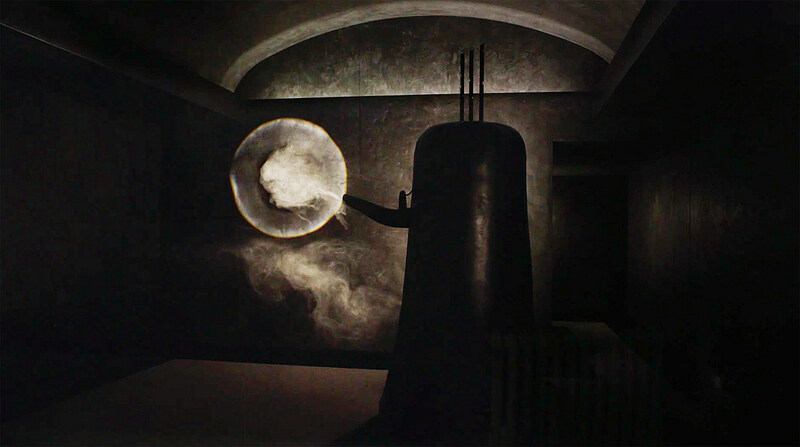 The Return did use archival Fire Walk With Me footage of Bowie’s brief appearance as the vanished southern agent, but eventually represented Jeffries as an oversized kettle of sorts from another dimension (like one does). That said, executive producer Sabrina Sutherland offered what details she could in a Reddit AMA session (h/t Vulture), noting that Bowie explicitly approved use of his 1992 appearance. Jeffries’ role was crucial to defining the mysterious “Judy” entity that Cooper (Kyle MacLachlan) and Gordon Cole (David Lynch) had pursued in their “Blue Rose” investigation. Nathan Frizzell is said to have voiced the kettle version of Phillip Jeffries, but might Twin Peaks: The Return have gone differently if Bowie himself were to reprise the role?